Get Connected with Viasat Today. Do you want VoIP service that gives you unlimited and long distance calling in the US and Canada? Choose Voice. Voice is the only VoIP connection that doesn’t subtract from your internet data allowances while bringing you all the conveniences and features of traditional landlines. If you can get Viasat at your home, you can get DIRECTV and vice versa. 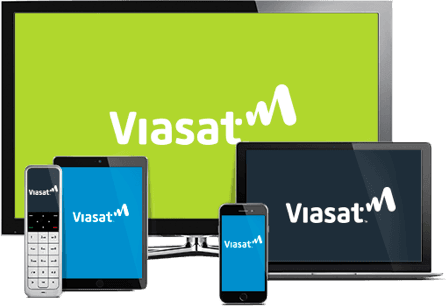 Add DIRECTV to your Viasat subscription for great internet and TV. Getting a custom-made package with Viasat (formerly Exede) is as easy as picking up the phone. All you have to go is provide our knowledgeable service reps with your information and they’ll call to help you create a package with the right speeds and price tag for your home. By clicking "Contact Me! ", you consent for ViasatSavings.com and partners to use automated technology , including pre-recorded messages, cell phones and texts, to contact you at the number provided. This includes if the number is currently on any Do Not Call Lists. This consent is not required to make a purchase.